Shells, Shells And More Shells! Blowing Brains Out or Putting Them In? The devil’s business or the armourer’s faith? 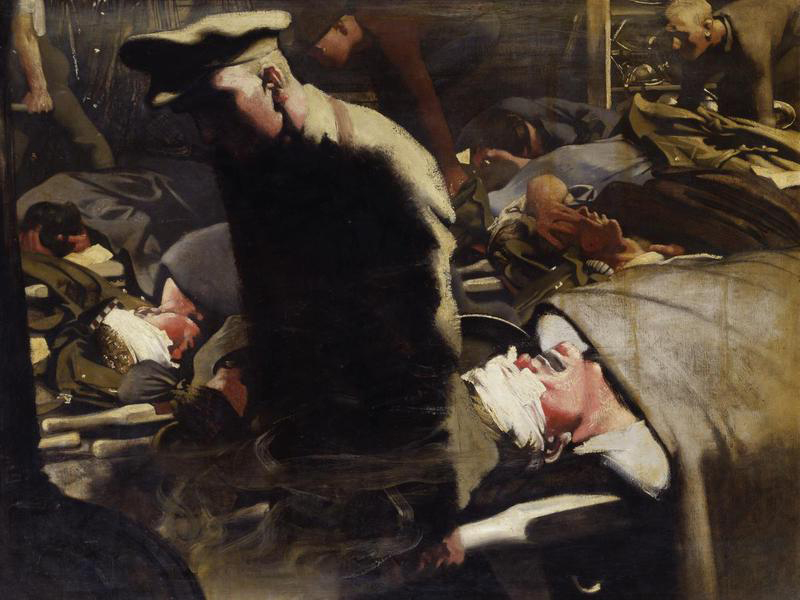 The Great War was the first conflict in which chemical weapons were used on a large scale. 124,208 tons of gas was used in attempts to break the stalemate of trench warfare. Gas claimed half a million casualties (25,000 of these fatal) on the Western front and an unknown number in Russia. Different types of chemical weapons, and ways to protect against them, were developed quickly by both sides. 1913 – 1914 – The War Office initiated trials of tear gas in small high explosive shells. November 1914 – The Chemical Substance Committee of the Royal Society War Committee was established in order to develop chemical weapons. 22nd April 1915 – Following an unsuccessful attempt to use gas against the Russian army, the German army unleashes a cloud of chlorine as the second battle of Ypres begins. June 1915 – Rudimentary gas masks are issued to the Allied armies. September 1915 – the French use gas in Champagne and the British use it at Loos. 1916 – Phosgene, a gas six times as toxic as chlorine was used by the French at Verdun. Delivered in shells, this was less susceptible to the wind blowing it back on the army that fired it. By then the use of chlorine by itself was abandoned, ‘since an efficient means of protection against it had been speedily devised by both sides’. June 1917 – The Germans use mustard gas for the first time. The initial response was to equip troops with cotton mouth-pads for protection’. Later a long cloth was added to tie the mouth pad into place. Protective measures were developed as quickly as new weapons were tried out. At first, these were hastily put together by volunteers and shipped out to the front line. Next came the ‘Hypo Helmet’; a khaki-coloured flannel bag soaked in hypo-solution. The soldier placed it over his head and tucked the bottom into his tunic. No inlet or exhaust valve was provided, and the wearer’s lungs forced the air through the material making up the bag. A fragile rectangular mica or celluloid window provided visibility. 23 companies or factories were involved in making chemical weapons. The main companies were Castner Kellner Company, United Alkali Company, Brunner Mond, Electro-Bleach and Bye-Products (via Brunner Mond), Chance & Hunt, Cassel Cyanide & Company and Nobel’s Explosives Company. The production and use of chemical weapons was not a well-developed industry or even science at the time. There were a number of problems to be overcome in order to actually develop, make and use such weapons. Research was needed quickly and constantly in order to react to new technological developments. Supply was dependent on existing chemical manufacturers who had no direct experience of making chemical weapons and who needed both additional plant for their factories, which was subsidised by the government, and raw materials. Costs of production were significant, both to provide the research and supplies needed. 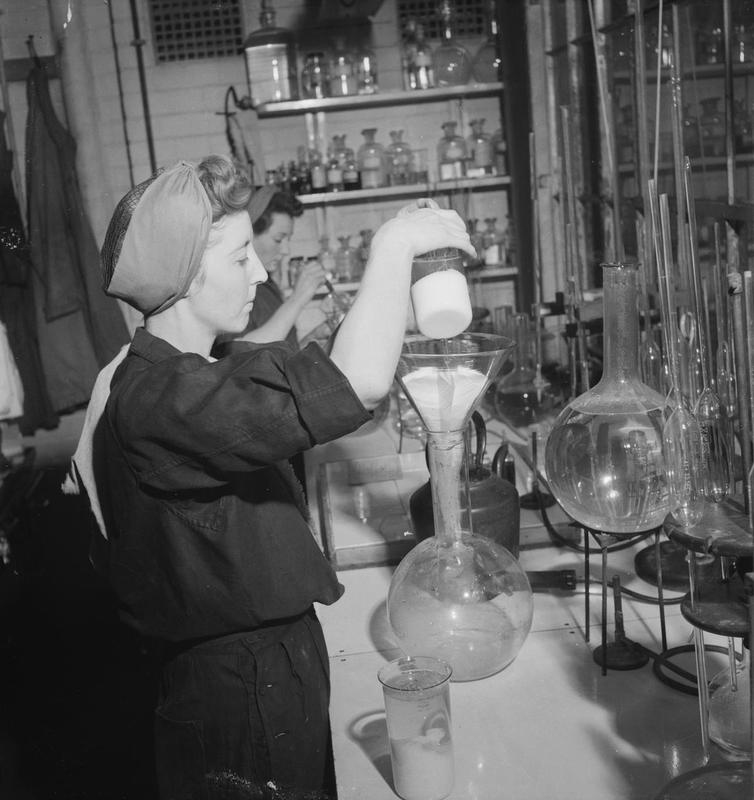 Cost of production of the chemicals produced during the war (some 92 500 tons for various substances) was somewhere in the order of six and a half million pounds. This is hundreds of millions in today’s money. There were significant issues around insurance for the companies making these chemical weapons because of the risk of fire and explosions; due to this the government paid the premiums. 23 companies or factories were involved in making chemical weapons. The main companies were Castner Kellner Company, United Alkali Company, Brunner Mond, Electro-Bleach and Bye-Products (via Brunner Mond), Chance & Hunt, Cassel Cyanide & Company and Nobel’s Explosives Company. They would later become part of the Imperial Chemical Industries (ICI), which was founded in 1926.
Who was hurt by the production of chemical weapons? As well as the soldiers from both sides of the conflict, the people who made and transported them were also endangered. The History of the Ministry of Munitions suggests that chemical manufacturers had reasonable safety standards in place. However, this was less true in new factories constructed especially for the purpose of making chemical weapons partly because of the speed with which these were constructed and partly because of their lack of experience. Some of these girls that were working on munitions and that, and, they would come out quite yellow … I wasn’t old enough to go into the factory, or anything like that, but I knew lots of women who were working with these munitions, and, and, it used to upset me seeing all this yellowy on their hands and on their faces, … a lot of them had their teeth out, I don’t know why, I thought it was just vanity that they thought they would be nicer in false teeth, but part of it was that it was affected by the stuff that they were working with. I learned about that afterwards. In July 1916 a Special Medical Advisor (Dr Frank Shufflebotham) was appointed within the Ministry. He very quickly arranged for Medical Officers to be appointed to each factory making chemical weapons order to provide medical advice; collect data; ensure that people with pre-existing health problems weren’t employed; and to establish hygiene regimes that reduced risk. The medical officers also instituted regular days off for workers and even holidays to get them away from the fumes and toxins they were working with. The History of the Ministry of Munitions lists ten committees under the heading ‘Advisory Committees on Chemical Warfare.’ Of these it would appear that only two had medical experts among their members. There is no indication that Dr Shufflebotham (the Special Medical Advisor to the Ministry of Munitions) had any role on any of these committees. It is therefore unclear whether any of the learning about the treatment of injuries and illnesses caused by the chemicals in the factories where they were made, was applied in the trenches and field hospitals at the front to help the soldiers injured by them. It seems the government focused primarily on developing weapons rather than protecting civilians and troops against chemical attacks, although there is evidence that efforts were made to do both.